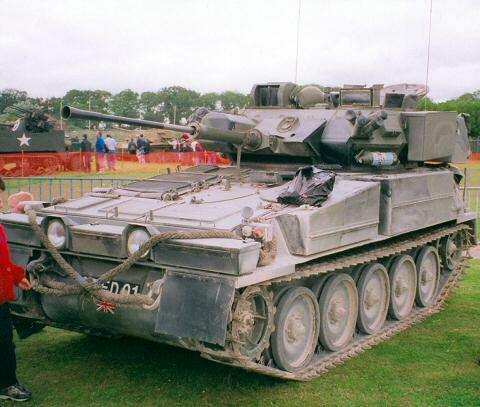 This was the second member of the CVR(T) family to enter British Army service, following FV101 Scorpion. 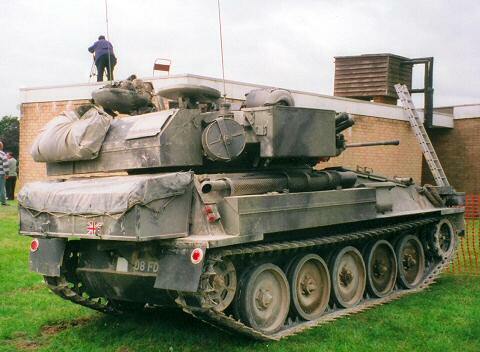 The first vehicle was delivered in 1973 with others following in 1974. 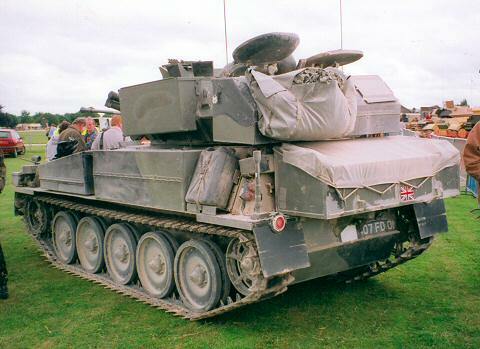 Early vehicles were characterised by having a fitted flotation screen, long since discontinued. 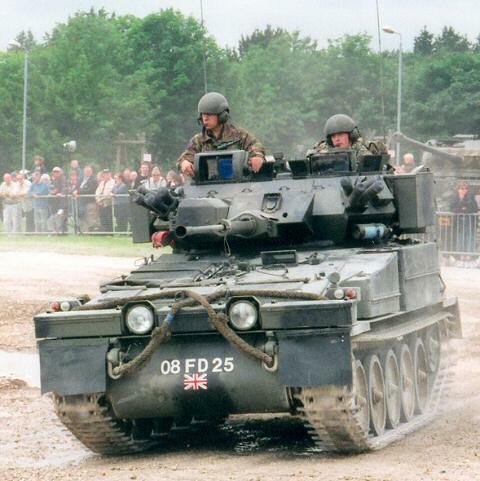 The vehicle is intended for the close reconnaissance role and is fitted with 30 mm Raden main armament. 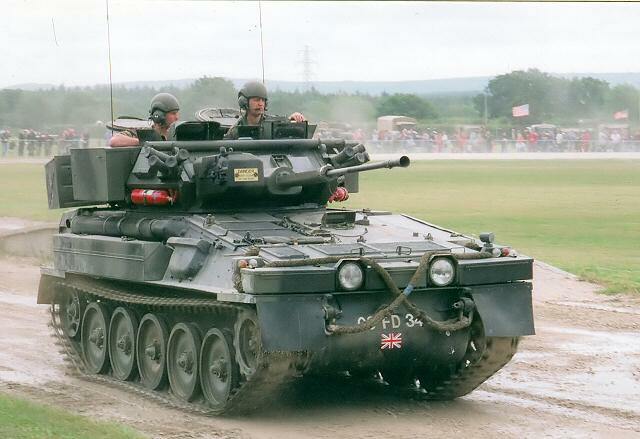 The pictures on this page were taken by myself at Tankfest 2002, Bovington and are of serving vehicles. 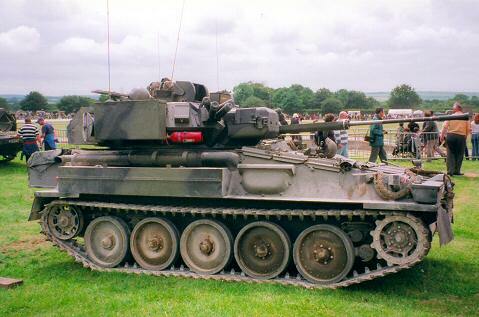 Note the polygonal turret in the same style as that used on FV101 Scorpion. 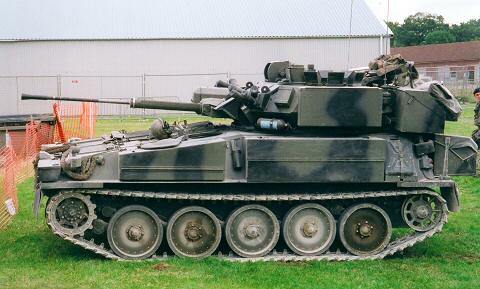 Main armament elevation -10° to +35°; Main armament traverse 360°.